Bus Enabled, Addressable 4-Zone dry Contact Input Module. 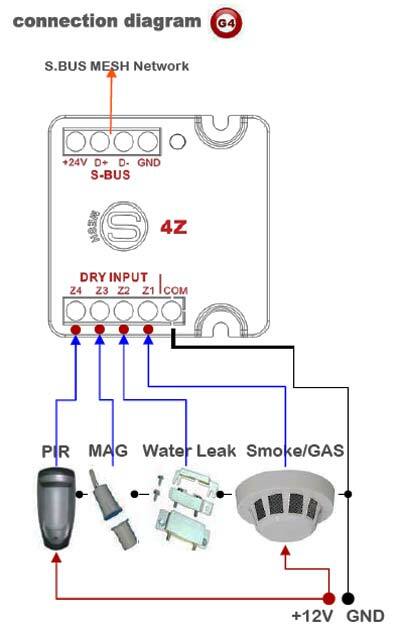 used for Automation, to connect to any door window sensor, PIR , Gas leak, Smoke detectors, Water Leak sensors, Pressure Mats, panic...etc. (supports 4 zones Security & Safety). Another application is for converting Classical Manual Switches into BUS Automation use. Built-in intelligence and delay function, 2-Way Switch update status function. Can fit behind switch into wall box. Q. 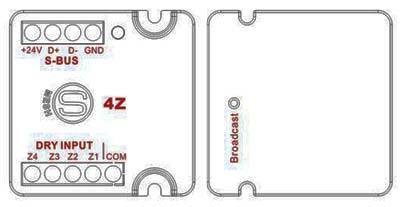 How many addressable Zones does each 4-Z have and how far can the sensor be located away from the 4-Z? A. each 4-Z support 4-Addressable Dry input zones. 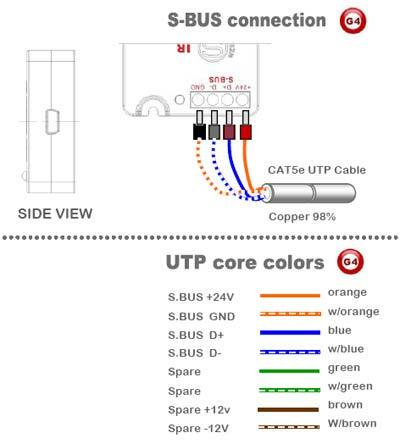 Any volt free sensor can be connected to any of those inputs. The distance tested using Cat5e as conductor was 300 meter with perfect results. Q. can 4-Z send trigger commands through bus to activate systems? Q. if the 4-Z is used to convert standard Wall switches to be Automated, can it be used as 2-way for stairs or hotel Bed room example?